Three Border Security Force (BSF) jawans were killed and six were injured on Wednesday after a Maoist ambush on a BSF party near Sukma-Malkangiri border in Chitrakonda, Odisha. BSF DG DK Pathak will later reach the spot to take stock of the situation. According to reports, the BSF party was securing an under-construction bridge when they were attacked by the Maoists. Further details awaited. Pidu Korsa was last night killed by suspected ultras at the Nayapara relief camp under Bijapur police station, according to a senior police official. A 45-year-old man who was an active member of the now-disbanded Salwa Judum was shot dead by suspected naxalites in Chhattisgarh’s insurgency-hit Bijapur district, police said today. Pidu Korsa was last night killed by suspected ultras at the Nayapara relief camp under Bijapur police station, a senior police official told PTI. According to the official, villagers said that a group of armed rebels stormed the Nayapara relief camp, located around 3-km away from Bijapur town, and pumped bullets into Korsa, killing him on the spot. Security forces were this morning dispatched to the scene of the attack, the official said, adding that Korsa’s body has been sent for a post-mortem. A manhunt has been launched to nab the attackers, who escaped into the jungles after carrying out the attack, he added. 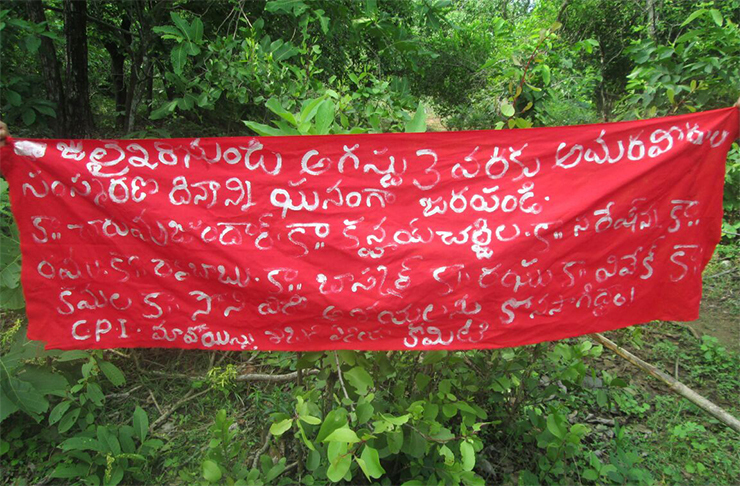 The Viplava Karmika Samkhya (VPS) of the CPI (Maoist) has sent a pamphlet to a newspaper office in Nalgonda warning the management of Oil Country Tubular Limited (OCTL) located at Narketpally, Ministers T. Harish Rao and Nayani Narasimha Reddy and Nakrekal MLA Vemula Veeresham on the issue of “removing about 500 employees from the company”. Signed by VPS Secretary Azad, the two-page pamphlet alleged that the TRS government had colluded with management of the OCTL. According to the pamphlet, the management had been exploiting the workers for e 30 years without following basic labour laws such as payment of minimum wages and holidays. 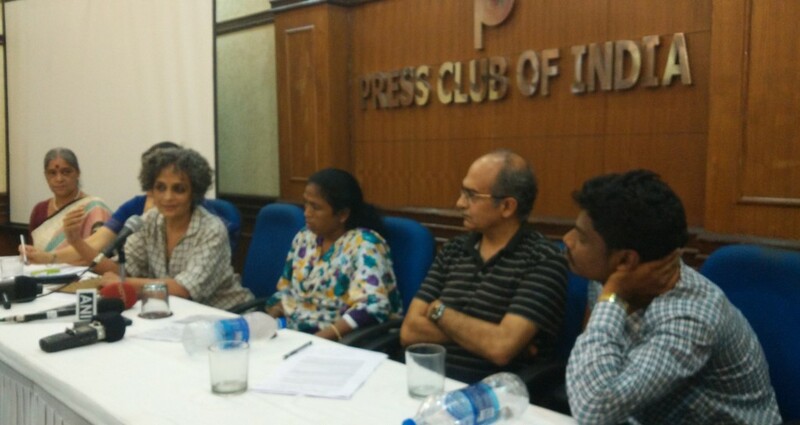 The VPS alleged the OCTL had not even allowed the workers to form trade unions in the industry. 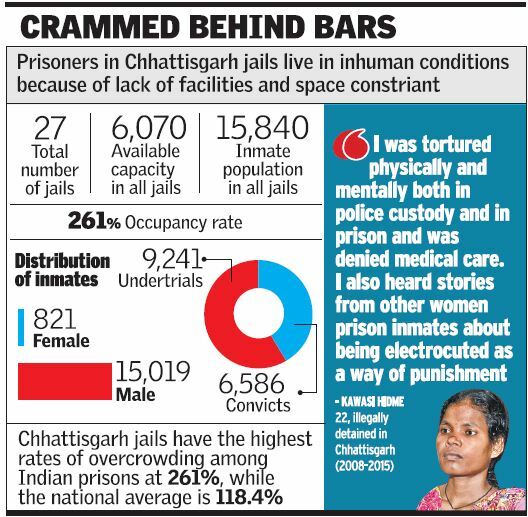 About 25 officers working in six departments, belonging to high castes, were harassing the workers, the pamphlet said. When some workers had formed a trade union, the management had removed about 500 workers from the duties nine months ago, the pamphlet said. These workers had staged protest a number of times during these nine months and also met the Nakrekal MLA, the Irrigation Minister and the Home Minister, but they had refused to intervene in the matter, it said. Munger: Maoists beheaded a police informer near the upgraded middle school in village Charaiyan under Charkapathar police station area of Sono block on the Sono-Khaira road in Jamui district on Wednesday. Handwritten posters with the message, ‘Saar kalam kar diya gaya. Jan adalat ka yahi faisla hai police ki mukhbiri karne ke liye’ (has been beheaded. The jan adalat took this decision for a police informer), were strewn around the body. Police said the man, in his 30s and in half pant and vest, was beheaded with a sharp-edged weapon. But the police could not identify the body till evening. The crime was committed to create terror in the area dominated by Naxalites. 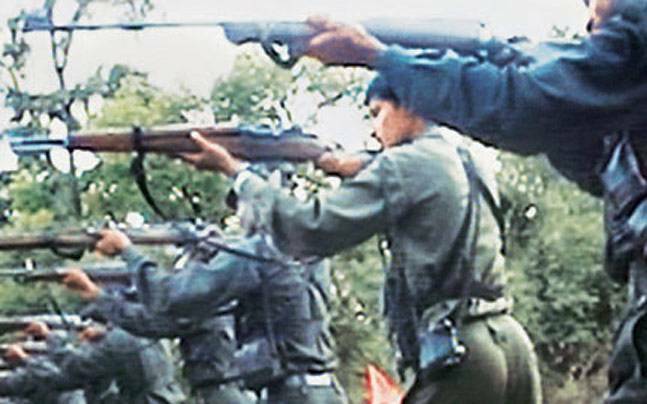 Jamui SP Jayant Kant said the deceased was an active member of the Maoist group. He was punished for bungling some amount collected by him, according to reliable information available with the police. The SP said the Maoists were concealing the fact and playing blame game against the police by throwing posters around the body which was sent to sadar hospital, Jamui, for postmortem. 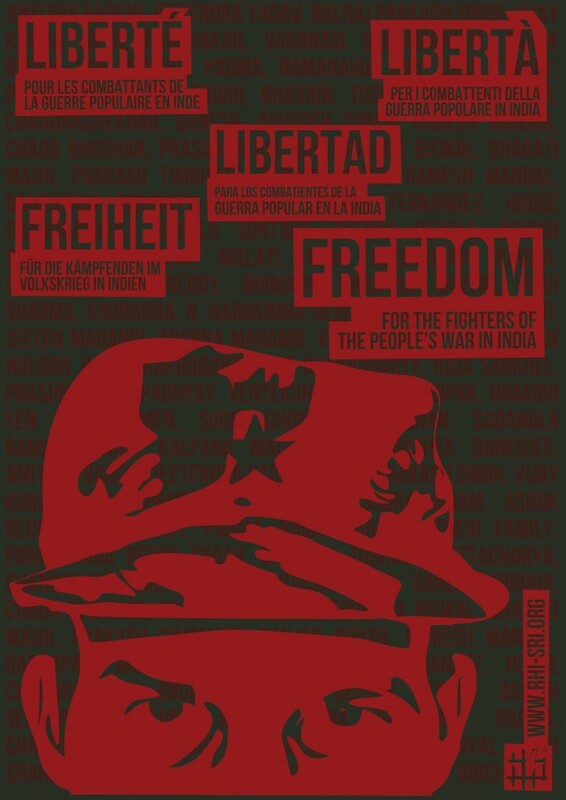 The RHI leads, since a few months, an international campaign to demand the release of all the prisoners of the Communist Party of India (Maoist) and of all the fighters of the ongoing people’s war in a country oppressed by three enemies, imperialism, feudalism and the local bourgeoisie. 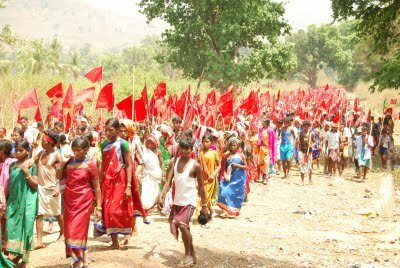 In its program, the CPI(Maoist) has made its the first priority of the struggle for the basic rights of the tribals and the victims of the capitalists and ultra-liberal policies of the Indians authorities, which are pushed in the back by the western imperialist countries. August, the 15th is the commemoration day of India’s ‘independence’. On that precise day, the RHI calls for an international mobilization day towards these prisoners, to demand their release, but also the respect of their basic human rights and a recognition of the status of political prisoners. Besides the 60 member of the party behind bars for the moment, Modi’s government (BJP – nationalist hindu party) detains more than 10.000 people who are accused of having links with the Maoist guerrilla, or of « sedition » or « action against the State ». The policy of the Central government has strengthened the legal arsenal aiming at the repression of any popular movement and all forms of dissidence. This international day of solidarity is an opportunity to denounce all these policies and to demand the release of all the prisoners struggling for the people’s war in India. Despite tight security arrangements across Odisha on Independence Day, Left wing extremists today hoisted black flags and put up banners in at least five locations in Maoist-dominated Malkangiri district but there was no report of any untoward incident. 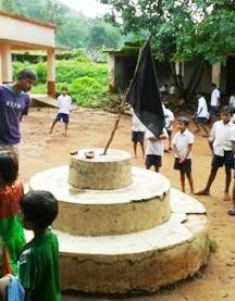 The Maoists, who had called for boycott of Independence Day, hoisted black flags at Luler under Mathili police station area and Omarpali in Odisha-Chhattishgarh border, police said. This apart, black flags and black banners were also found at Bodigata, Kelrai and MV-90 areas. Kolkata: Dozens of Maoist posters calling for shunning Independence Day celebrations were found in West Bengal`s Purulia district on Saturday, police said. The posters, along with black flags, were spotted early Saturday in Balrampur and Baghmundi areas of the district. 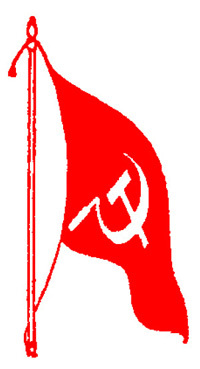 Besides calling for observing black day, the Communist Party of India (Maoist) through the posters also demanded removal of West Bengal Chief Minister Mamata Banerjee. “We have seized the posters and looking into the matter,” said a police officer. 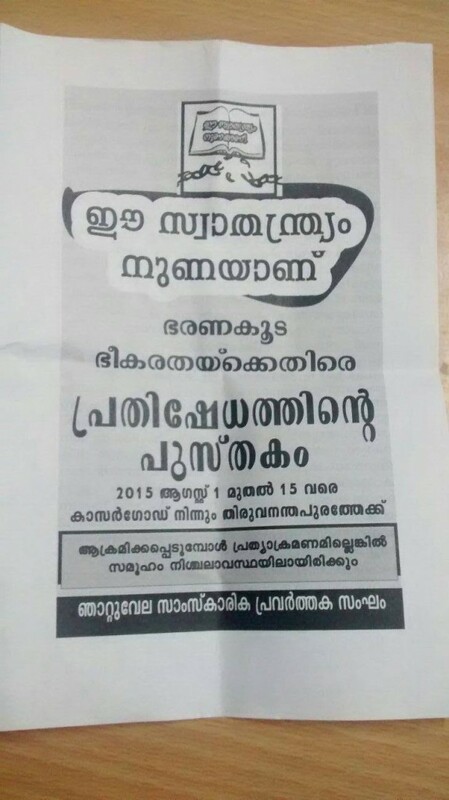 Earlier in July, five suspected Maoists were arrested for putting up similar posters. Similar posters were also recovered on Friday from Kolkata`s Maniktala area.